X-ray machine cables are used to withstand high voltage. High voltage cables are connected to X-ray tube and high voltage generator in different X-ray machines to deliver high voltage to X-ray machines. Among them, the suspension X-ray machine meets the requirements of complex clinical positioning, and can be used for the photography of standing position, lying position, sitting position and a variety of projection angles. The X-ray machine cable plays an important role. By connecting the X-ray tube and generator, the generated high pressure is transmitted to the suspended X-ray machine, which drives the operation of the X-ray machine. 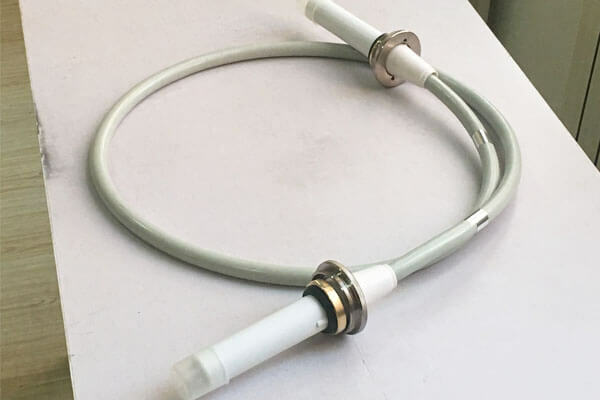 Because the type of the suspended X-ray machine is relatively large, it generally USES 15m or 20m X-ray machine cable, which can meet the needs of many aspects.Second, when using X-ray machine cable, should pay attention to prevent excessive bending. Its bending radius should not be less than 5-8 times of the cable diameter, so as not to cause cracks and reduce the insulation strength. We will recommend suitable length of X-ray machine cable for you according to the actual situation and your X-ray machine type.